A batman mask for Brian and a crown for me. The flash goes off 4 times and we wait outside the booth to get our keepsake. 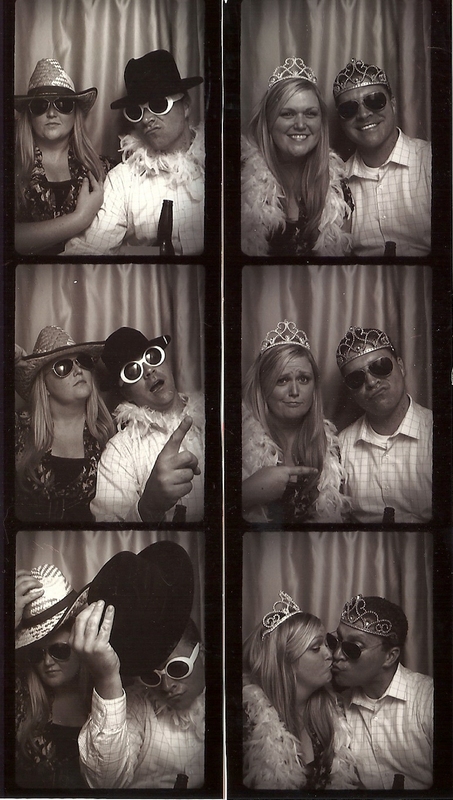 Another great photo strip for our fridge, another fun reminder of the fun that was Mindy and Mike’s wedding. The booth does not have to be an added expense, it can be the wedding favor. Or, if you already have the perfect favor in mind, the booth can contribute to the energy of the event. 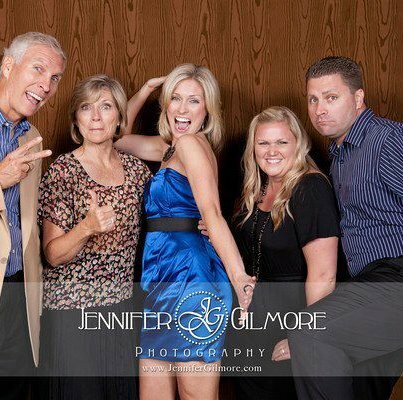 It can provide your guests the chance to be silly, laugh, and strike a pose! 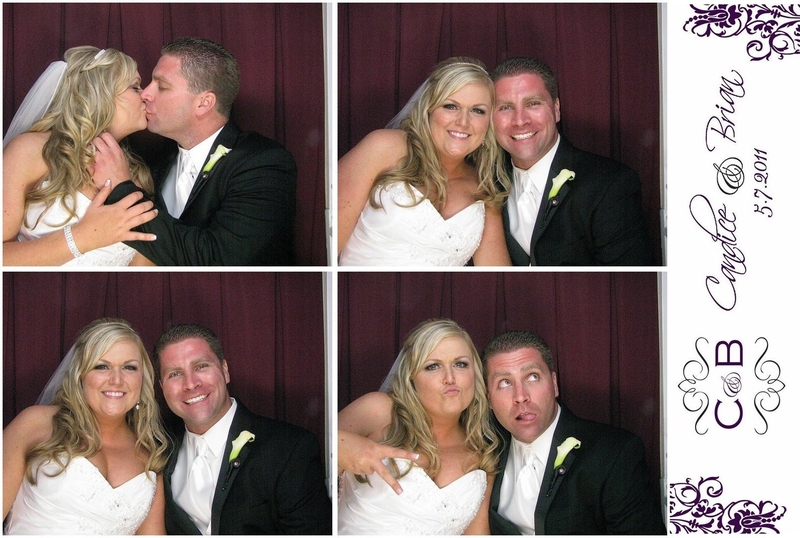 Unlike other favors that will go right into the trash a few weeks after the event, a photo booth photo will always bring a smile to your guests face, long after the wedding ends. When I look at these photos of Brian and I, I cant help but laugh. We love the booths. We honestly take a photo in any booth we come across, and the photos have come to be some of my favorites that we have EVER taken together. They are so funny, and really showcase how much fun we have together. They instantly take me back to the event we were attending and bring a smile to my face. Why not provide your guests with that same experience? There are booths that you can rent that are very simple, no props, just black and white classic strip photos. Or, you can go bigger with a large booth for 12 to fit your entire bridal party! Props are always a plus and the booths that now send your photos directly to Facebook or Twitter are always a hit with the guests! Signs in the booth are always fun, say something funny without saying a word! A backdrop is also an option for that photo booth experience. A lot of photographers are offering this type of service now also. Ask your photographer if this is an option for you to add-on! Large groups have a blast with this! Take a look at the Sanders family in front of a textured backdrop at a wedding! So much fun! After the wedding is over, the cake is gone and the flowers dead, we’ll still have the photos. These are the moments my friends! 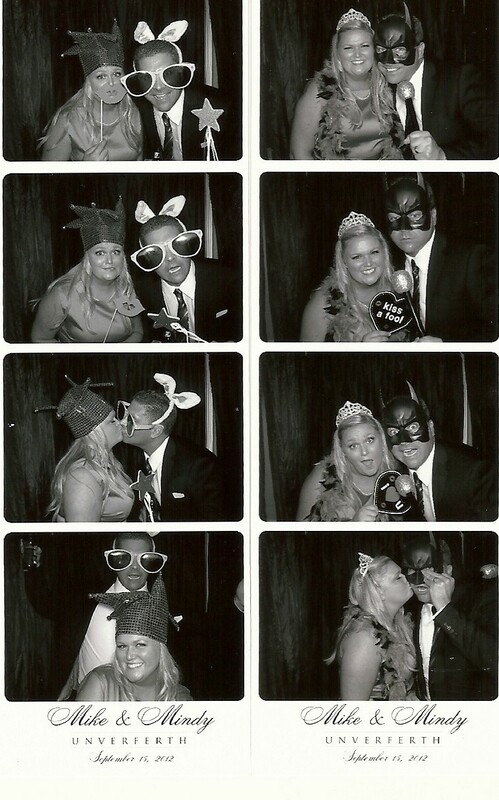 A photo booth is another great memory for your guests to hold on to, another great way to remember the day you said “I Do!”. Previous Post 9/1/2012: tiffany and tim’s wedding day!